Promising three-year-old Dissolution at Warwick Farm on Wednesday became Hawkesbury’s 60th winner this year. In doing so, he earned himself a berth during The Championships at Royal Randwick. Trainer Brad Widdup has set his sights on the $200,000 Group 3 Carbine Club Stakes (1600m) at Royal Randwick on Saturday week (Day 1 of The Championships) with the lightly-raced youngster. Given a 10 out of 10 ride by Christian Reith, Dissolution ($5) made it two wins on end since joining Widdup’s team when he impressively took the 3YO Benchmark 76 Handicap (1400m). After hitting the front on straightening, the Snitzel three-year-old never looked in danger and defeated Sambro ($11) and $2.60 favourite Icon Of Dubai. “Provided he comes through this race okay, he will go to the Carbine Club,” Widdup said. “That’s the logical next step. 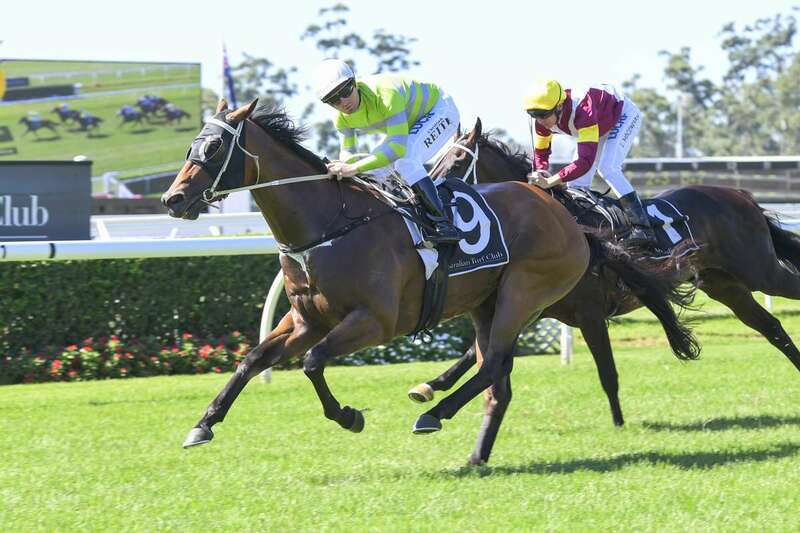 Hawkesbury will have two representatives at the third and final day of the Golden Slipper Festival at Rosehill Gardens on Saturday. Widdup runs Dancers (Jason Collett) in the $500,000 Group 1 Vinery Stud Stakes (2000m), and Garry Frazer has Spright (Jay Ford) in the Group 3 Star Kingdom Stakes (1200m). Husson filly Dancers caught the eye with a late-closing fifth to Luvaluva in the Group 3 Kembla Grange Classic (1600m) on March 16, and her Vinery performance will determine whether she proceeds to the $1m Group 1 James Boag's Australian Oaks (2400m) at Randwick on April 14. Spright has not raced since last October and has trialled twice – the latest when third to Pariah over 1030m at Rosehill Gardens on March 8 – in preparation for her resumption, and she will line up without blinkers.